The earliest and most detailed depiction of Henry VIII’s famed lost Palace of Nonsuch will soon be on public display after The Victoria & Albert Museum saved it for the nation. This watercolour of 'Nonsuch Palace from the South' by Flemish artist Joris Hoefnagel, 1568, has been saved for the nation by The Victoria & Albert Museum. 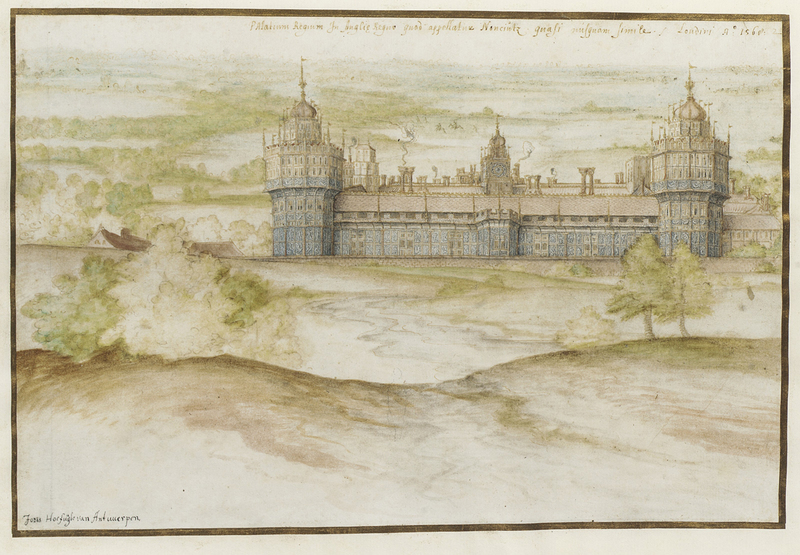 The 1568 watercolour, Nonsuch Palace from the South, by Joris Hoefnagel, had been the subject of a temporary export ban earlier this year. However, after funding was secured the watercolour will go on display in the V&A from tomorrow. It was purchased for £1m with the National Heritage Memorial Fund contributing half this amount, the Art Fund donating £250,000, with remaining amount from the V&A. Called Nonsuch, as no other palace could compare with it, this ambitious grand house was commissioned by Henry VIII in 1538. Its towered façade decorated with elaborate plasterwork in a Franco-Italianate style sought to rival Fontainebleau, the residence of Henry’s arch competitor, the French king François I. Still unfinished at the king’s death in 1547, it was purchased from Mary I in 1557 by Henry Fitzalan, 12th Earl of Arundel (1512-80), who completed the palace and most likely commissioned Hoefnagel’s watercolour. The palace was later acquired by Elizabeth I in 1592 and became one of her favourite residences. It was later demolished between 1682 and 1688 by Charles II’s mistress, the Duchess of Cleveland, who sold its raw materials to pay off her gambling debts. The watercolour had been in the collection of Sir Alfred Morrison of Fonthill and passed by descent through his family. It was offered for auction at Christie's in 2010 with an estimate of £800,000 to £1.2m but failed to sell. Earlier this year an export licence was requested by the owner and the Department of Culture Media & Sport stepped in and issued a temporary bar in the hope that a UK based buyer could be found.